Red Bull Racing’s return to title contention hasn’t gone to plan. It was so tempting to buy into the hype generated in the 2017 preseason that the four-time constructors champion would rediscover its mojo under reworked technical regulations that were supposed to put greater emphasis on aerodynamic performance. But the team ended the year with just three victories, only two of which were down to genuine car pace, and a staggering 300 points adrift of Mercedes in the constructors standings. Never mind — the energy drinks-backed squad had built a substantially more competitive race car relative to Mercedes, and stable rules between seasons meant the RB13 could be built upon to produce an RB14 with fewer weaknesses and more powerful strengths sufficient to finally challenge for a championship again. Except that’s not really what’s happened. The deficit is particularly poor in qualifying. 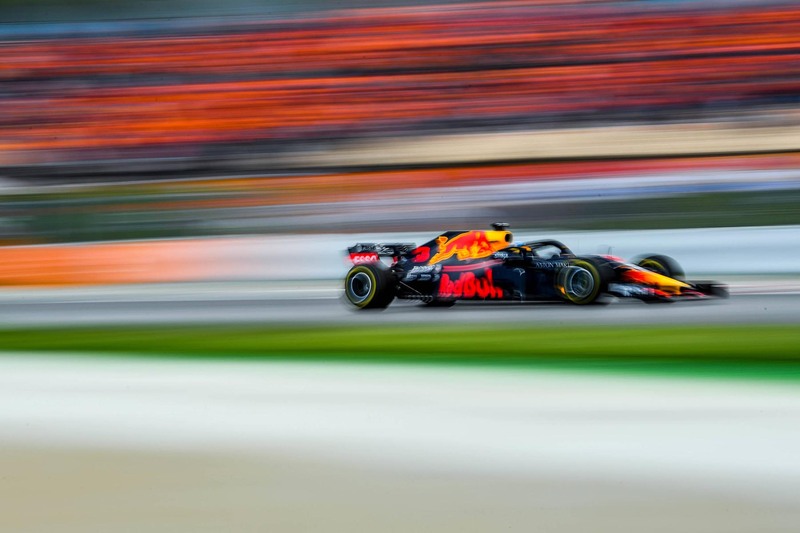 Over the first five races of the season Red Bull Racing has been 0.582 behind the pole position time on average, a particularly dispiriting fact in an era when overtaking is so difficult. The race results reflect as much. Despite Max Verstappen and Daniel Ricciardo looking markedly more competitive in race trim, on only three occasions has either car finished ahead of a Mercedes or Ferrari — in Australia, thanks to Valtteri Bottas’s lowly starting position; in China, thanks to Verstappen’s crash with Sebastian Vettel and the team’s inspired safety car strategy; and in Spain, thanks to flawed Ferrari tactics. Even Ricciardo’s win in China, expertly executed though it was by team and driver, is owed more to fortune than car performance. There are of course extenuating circumstances, as Red Bull Racing is fast to point out. Aside from its pair of double retirement, the hunk of Renault-branded metal bolted into the back of its cars has proved a noteworthy restraint on performance. Indeed coming into this weekend’s Monaco Grand Prix Renault’s lack of power and, more importantly, the minimising of that disadvantage around the twisty Monte Carlo streets, where horsepower counts for so little, has been the talk of the town. Max Verstappen likewise suggested he felt in with a shot this weekend. But before putting all your chips on Red Bull Racing, consider the fact that this team, which has long been heralded as having one of the sport’s leading chassis, hasn’t won in Monaco since Mark Webber took to the top step in 2012. Of course Renault’s power deficit has been larger than it is at present, but for a circuit that is almost exclusively about balance, grip and confidence, the team’s sole genuine shot at victory in 2016 is perhaps a truer reflection of where it has stood in the chassis stakes. Frustrating though it is for the team and disappointing though it is for its fans, the fact of the matter is that Red Bull Racing relies on customer power units to compete, and if Renault continues lacking compared to Mercedes and Ferrari, then the only way to make up the deficit is through pure aerodynamic performance. If the car can’t overcome the engine in Monaco, it won’t be able to do it anywhere. Ricciardo, the last man to take Red Bull Racing close to a victory in 2016, when his maiden pole and the team’s first since 2013 was squandered in a series of pit stop howlers, thinks the gap is just bridgeable. It therefore makes the Monaco Grand Prix a potentially important indicator for Red Bull Racing as it attempts to keep itself in with a chance for the title. Succeed here and earn the credibility to fight another day, hoping that Renault upgrades might be enough to shrink the gap between engine and machine at the super-fast Canadian Grand Prix. Fail, however, and there’s little reason to think the team’s outlook this year is anything but bleak.